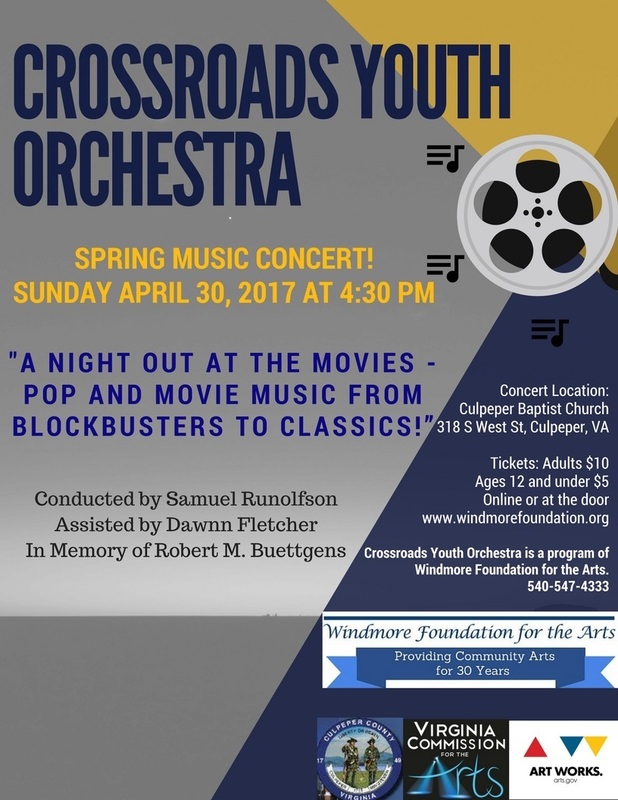 Crossroads Youth Orchestra (CYO) is a program of Windmore Foundation for the Arts for all ages, especially In the age group of ages 12 to 18. It is the only youth orchestra in Culpeper County. The orchestra is open to young people from Culpeper, Fauquier, Madison, Orange, and Rappahannock Counties. 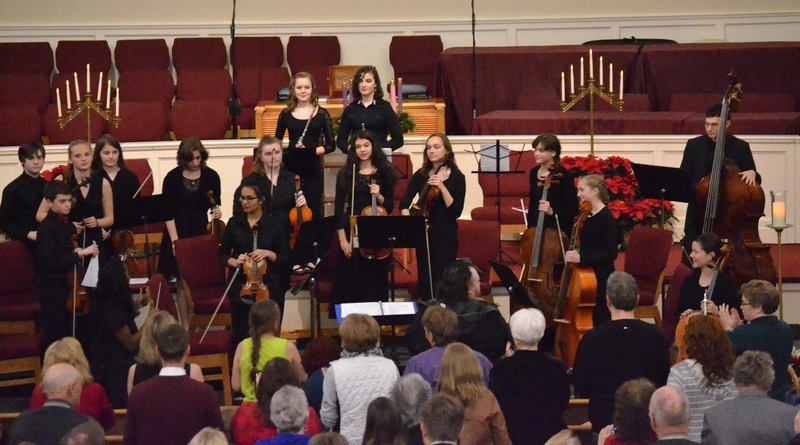 The purpose of CYO is To enrich the youth of Culpeper and the surrounding Piedmont area both musically and culturally by enabling them to experience the joy and fulfillment of a symphonic orchestral experience that can be shared with the community, promoting growth as musicians and citizens. To inquire about becoming a member of the orchestra for the first time, please email cyo@windmorefoundation.org. Rehearsals for all orchestra members are at Culpeper Baptist Church. Scholarships may be available based on financial need. This season there will be two groups. All beginners for Adagio will be accepted with no audition necessary. The Adagio String Orchestra is for young musicians in grades second through ninth who are beginning players with an interest in playing Violin, Viola, Cello or Bass. The emphasis in rehearsal will be establishing good rehearsal discipline, rhythmic and note reading skills as well as understanding harmony in ensemble music. This group will perform twice during the year to develop poise and performance skills. Acceptance into Andante is through audition which must be completed before admittance. Members returning to the same ensemble do not need to audition. The Andante Orchestra is composed of students, generally between the sixth and eleventh grades, who have demonstrated an intermediate level of playing on their instruments of Violin Viola Cello and Bass. The emphasis is on training: acquisition of technical and musical skills, rehearsal discipline, and advanced ensemble playing. Public performances are scheduled three or four times a year. They will perform on programs with both the String Orchestra and separately during the season. 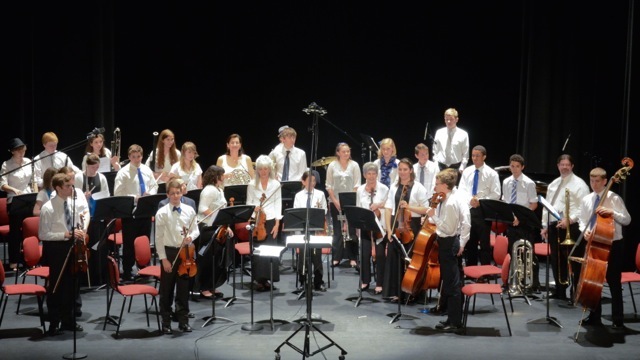 Windmore’s Crossroads Youth Orchestra program began in 2012. A special thank you to the founders of the program: Dr. Paul Kim, John & Carla Jewell, Mary B. Allen, and Judy Dishman. 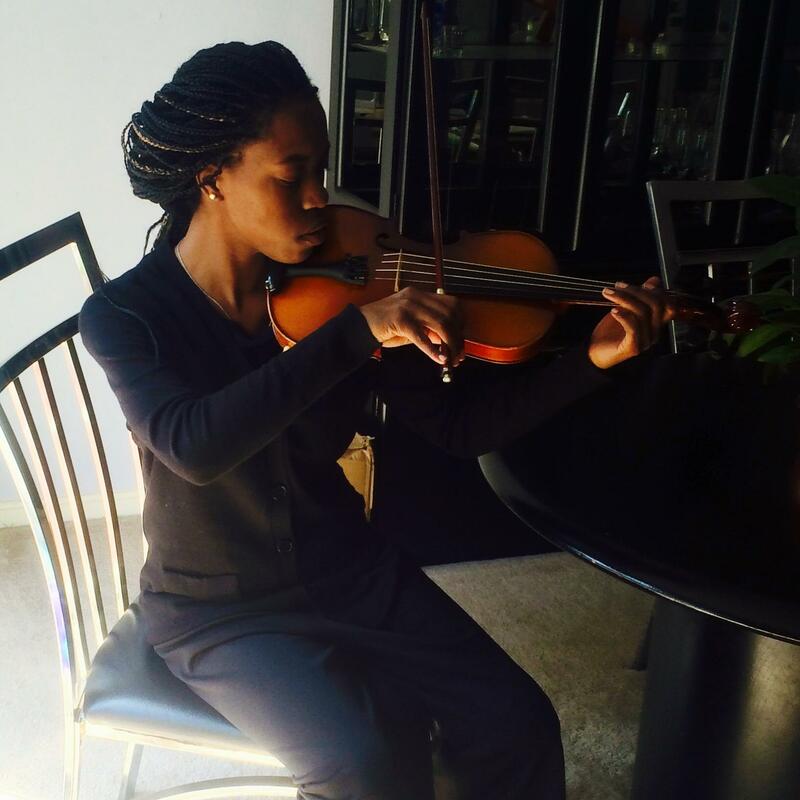 Dawnn Fletcher, Strings Teacher and Program Director of Crossroads Youth Orchestra.Dawn Fletcher has 17 years of experience playing music. She plays violin, viola, and cello. She has been teaching for 8 years. Dawn has a bachelor’s degree in Instrumental Music and Music Theory form Bluefield College. She has performed with various symphonies in the Virginia area. CONGRATULATIONS ON A WONDERFUL CONCERT TO A STANDING OVATION! Crossroads Youth Orchestra Spring Concert: “A Night Out at the Movies – Pop and Movie Music from Blockbusters to Classics!” was upbeat with classical and popular music enjoyed by all ages. There was a special piece of music as a tribute to Robert M. Buettgens, a dedicated supporter of Crossroads Youth Orchestra who passed away in January. The tribute piece was introduced by one of Mr. Buettgens’ Native American Flute Circle students playing the flute. It is with great sadness to announce that Robert M. Buettgens passed away on January 22, 2017. Mr. Buettgens was a longtime member of Windmore and a supporter of the Windmore Crossroads Youth Orchestra Program. At the request of Mr. Buettgen’s family, contributions to Crossroads Youth Orchestra are being accepted in memory of Robert M. Buettgens. Donors may contribute to the Crossroads Youth Orchestra Program in general or specifically toward scholarships that are based on financial need to cover a student’s tuition and costs in the program. Robert (Bob) Buettgens, 69, passed away on January 22, 2017. He is survived by his wife, Patricia; son, Matthew; brother, Alfred and his wife Beverly; two nieces, Denise Kresco and Tracey Clancy; and one nephew, Jeffrey Buettgens. Bob was a Navy veteran, retired federal investigator after 30 years of service, retired real estate agent in Culpeper. 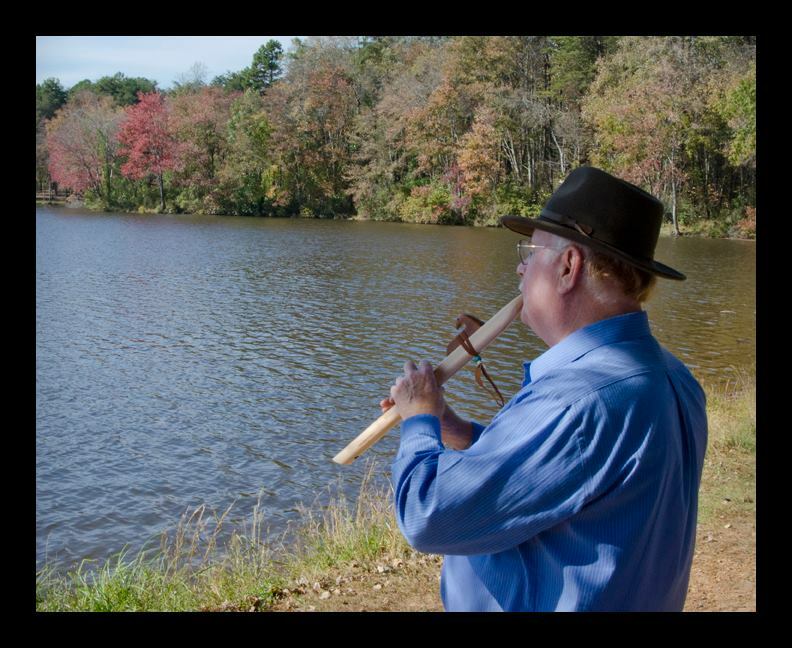 He was involved in establishing Native American Flute Circles in Orange and Culpeper; participated in Jin Shin Jyitsu energy healing group and the local Democratic National Committee. He was involved in helping the Crossroads Youth Orchestra (Windmore Foundation) Scholarship Fund. Contributions in his name may be made to Crossroads Youth Orchestra, P.O. Box 38, Culpeper, VA 22701-0038. Condolence may be given at Clore-English. Arrangements have been entrusted to the Clore-English Funeral Home, 11190 James Monroe Highway, Culpeper, VA 22701. Checks should be made payable to Windmore Foundation for the Arts. Contributions may be made online via the Donate button at the top of this page. Please designate in the “Purpose” section that the contribution is for Crossroads Youth Orchestra or the Crossroads Youth Orchestra Scholarship Fund. Next concert is scheduled for Thursday December 1, 2016 at State Theatre Culpeper. CONCERTS AT THE STATE THEATRE! This year about 25 students in grades 6 through 12 have practiced every week since September. These musicians have two or more years of experience with their instrument. This is an amazing opportunity for the students and this kind of experience is not offered by any of the schools in our area. You can support CYO by attending the concert, or give a tax exempt donation by using the DONATE button on the home page of Windmorefoundation.org. If you know a young musician who would like to audition for CYO contact John or Carla Jewell at 540-317-1115 or visit Windmorefoundation.org. Emails can be addressed to info@windmorefoundation.org. 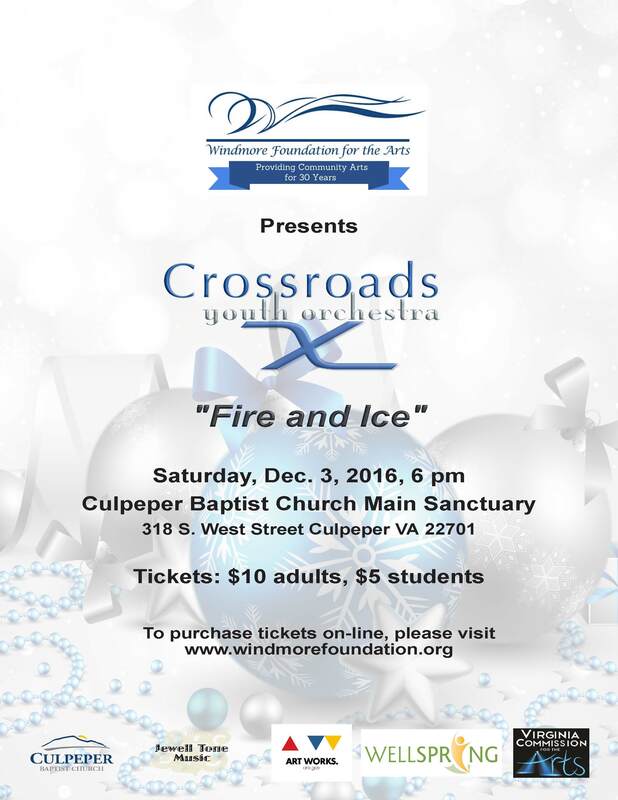 Established in October 2012, the Crossroads Youth Orchestra, part of The Windmore Foundation for the Arts, is an audition-based youth symphony orchestra serving Culpeper, Fauquier, Rappahannock, Madison, Orange, and other surrounding counties. The orchestra is designed for 6th to 12th grade musicians with a minimum of two years experience (special exceptions may be considered based on talent). They are provided the unique opportunity and experience of working with an experienced conductor and performing works in a full orchestra setting. All standard orchestral instruments are welcome (strings, woodwinds, brass). Auditions are held on a rolling basis. Interested students can contact our managing director, Carla Jewell, at crossroads@windmorefoundation.org or by calling Jewell Tone Music at 540-317-3115. Rehearsals are scheduled every Thursday from September through May. Interested students are welcome to schedule auditions by calling 540317-1115. Windmore Foundation News: THE CROSSROADS YOUTH ORCHESTRA IS LOOKING FOR YOUNG MUSICIANS! This is our community’s own orchestra that provides children with quality musical instruction and they need your support! Area parents, be sure to ask questions and become involved. They usually have one to two performances per season. The orchestra is in need of the following instruments: Violin, Viola, Cello, Double Bass, Flute, Trumpet, French Horn, Clarinet, Oboe; and Bassoon. The age requirement is: 12 – 18. You may contact Carla Jewell at 540-317-1115 or xroadsyo@gmail.com. Take a look at the link below, for a special message from Carla & John Jewell. Thank you for your support! Special thanks is given to the organizations who support CYO in the past:Virginia Commission for the Arts, Rappahannock Electric Cooperative, and SWIFT Corporation. In the fall of 2012 Carla and John Jewell began auditions for students in grades 6 through 12 with a minimum of two years of musical experience. Eighteen students from Culpeper, Fauquier, Orange, Rappahannack, and Madison counties were chosen to be in the Crossroads Youth Orchestra. Dr. Kim was the initial conductor then Dr. Takuya Nishiwaki became the Conductor. Since September 2014, Howard “Scott” Tester became the Musical Director. He is dedicated to encouraging young musicians to achieve their best. He is working with CYO establish a Junior Orchestra. He hopes to prepare younger students to step into the full orchestra as the older students graduate. The youth orchestra had their first rehearsal on October 18, 2012 and their first concert on Saturday, January 12, 2013 at the Warrenton Community Center. The program featured music from Master Composers such as Bach, Beethoven, Tchaikovsky and others. About 125 people attended this first concert. The Jewells and the conductors then prepared the youth orchestra for the concert at the State Theatre during the opening week, May 7, 2013. The concert was polished, crisply presented, and enthusiastically appreciated by the audience of over 250 people. The Board of Windmore congratulates the directors, conductors,the many volunteers, the orchestra, and their parents for the great job they did with this production. The Crossroads Youth Orchestra also partners with Castleton Festival to offer events for children. More information will be listed on this webpage when it becomes available. We were pleased to received a Grant from the Virginia Commission for the Arts and the National Endowment for the Arts. These businesses and individuals have donated to CYO in the past: Belmont Farms of Virginia, Inc.; Bingham & Taylor; Culpeper Business Women Inc.; Judy Dishman; Mary B. Allen; Rappahannock Electric Corporation; Ray & Shirley Wagenhorst; StellarOne; SWIFT Corporation; Target Culpeper; Yates Properties LC; the Canavan Family; and Carolyn Elgin. Our special thanks to all those who donated. We still need your help. If it is possible for you to assist the Orchestra financially, you can contribute at any event, or by sending a check to Windmore Foundation, P.O. Box 38, Culpeper, Va. 22701, or on this webpage by the “Donation” key. Be sure to designate that the donation is for CYO. Carla and John Jewell are the co-owners of Jewell Tone Music. Mrs. Jewell has been a private piano teacher for 25 years. As the Managing Director of Crossroads Youth Orchestra, Mrs. Jewell wants to encourage students to audition for their new season. If you know of any young musicians who would like to try out, please feel free to email cyo@windmorefoundation.org or call Jewell Tone Music at 540-317-1115.